Our experience with critical containment Air Pressure Resistant (APR) doors for both commercial and government facilities ensures the highest quality product for your application. 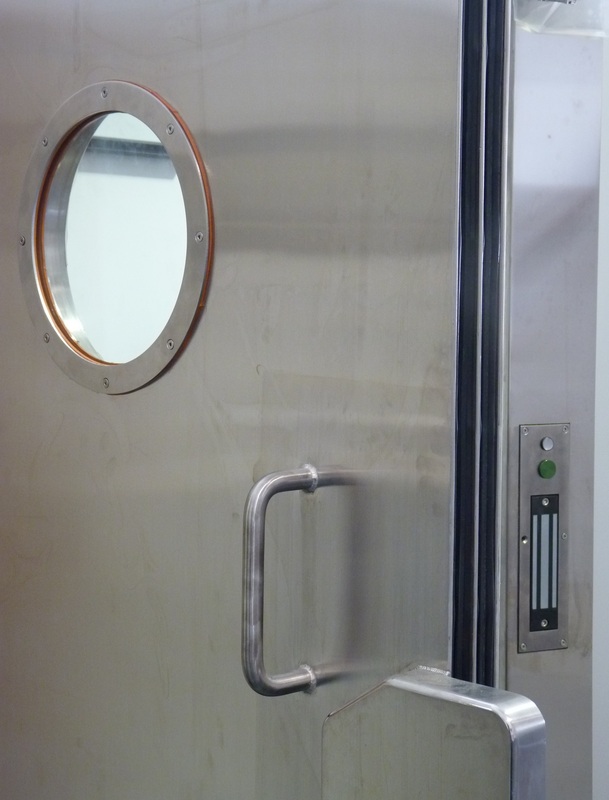 Our airtight doors can be found at The National Institute for Health (NIH), US Army bases, and various labs throughout the U.S.
Airtight seals can be achieved using either pneumatic (inflatable) seals or mechanical (compression) seals. Both provide 100% airtight containment. Pneumatic seals allow for flush bottom sills, a requirement often seen in high traffic applications, or in high containment areas such as BSL3 & BSL4 areas. Mechanical seals utilize compression gaskets which require a raised bottom sill threshold, although flush sill designs are available for some applications. 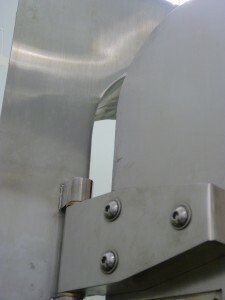 Compression seals do not require inflation, but instead rely on compression of the gasket against the door frame. Dual seals are often used for critical applications for added protection against leakage. Our standard BSL3 & BSL4 APR doors are available in polished stainless steel and provide a 100% airtight seal up to 8″ w.c., although they can be designed for higher pressures when required. Other airtight door & hatch designs are available in mild steel, stainless steel, or aluminum. A standard wrap around door frame is provided for installation into cast concrete walls, stud partition walls, and filled block walls. Custom bolt-on, weld-on, and masonry subframes are also available. Full power operation including a full range of access controls, interlocks, filters, remote indication/operation, and security systems are available for doors with either type of seal.